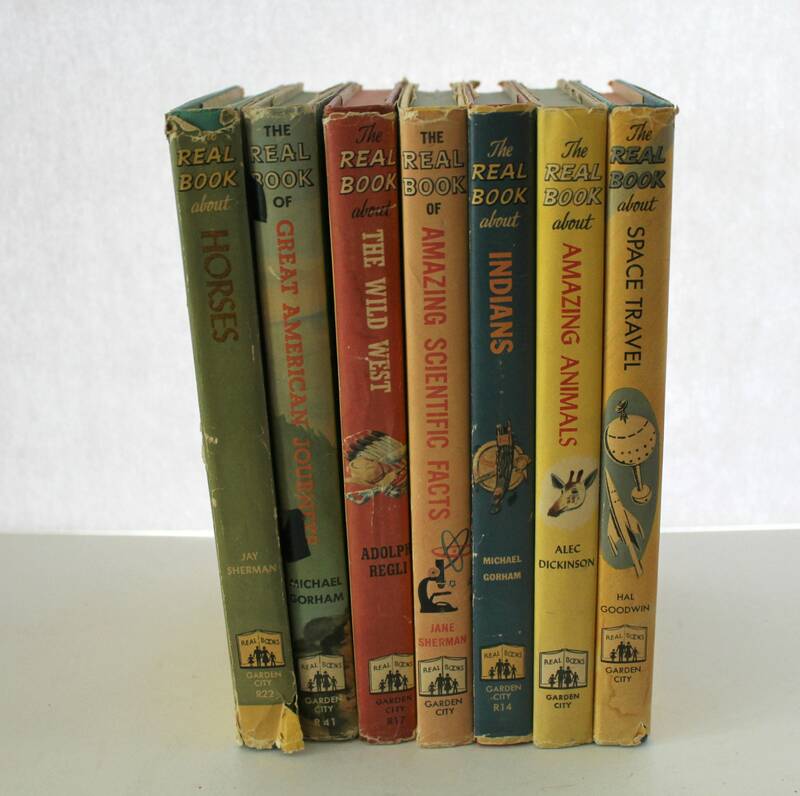 This is a nice lot of 7 vintage Real Books for young people. 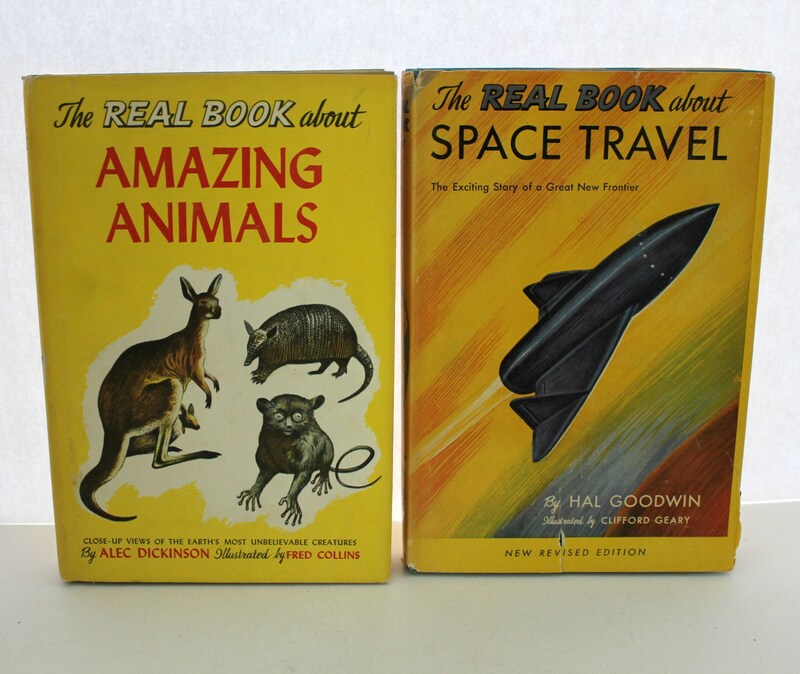 They are both informative and entertaining and won a Boy's Club award in the 1950s. These are all Book Club Editions. The Real Book About Amazing Animals by Alec Dickinson - Close-up Views of the Earth's Most Unbelievable Creatures - Garden. 1951 Garden City Books. 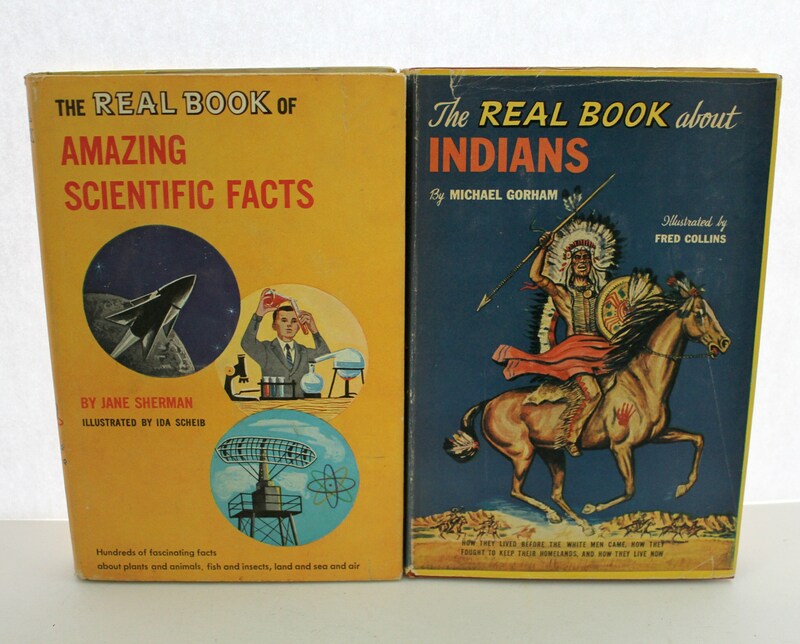 The Real Book About Indians by Michael Gorham - How They Lived Before The White Men Came, How They Fought To Keep Their Homelands, And How They Live Now. 1953 Garden City Books. The Real Book About The Wild West by Adolph Regli - Adventure-Filled Stories of the Men and Women Who Fought Indians, Bandits and Outlaws to Conquer a Wild Frontier. 1952 Garden City Books. 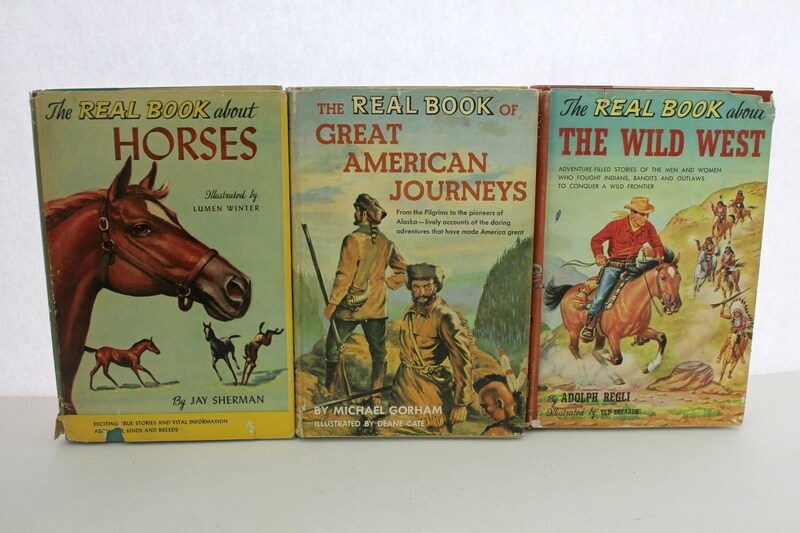 The Real Book of Great American Journeys by Michael Gorham - From the Pilgrims to the Pioneers of Alaska. Lively Accounts of the Daring Adventures that have made America Great. 1953 Garden City Books. The Real Book About Horses by Jay Sherman - Exciting True Stories and Vital Information About All Kinds and Breeds. 1952 Garden City Books. - Writing on blank page opposite title page.